Poster. Illustration of butter, cheese, and biscuits on a cake basket (also known as a "bride's basket"). 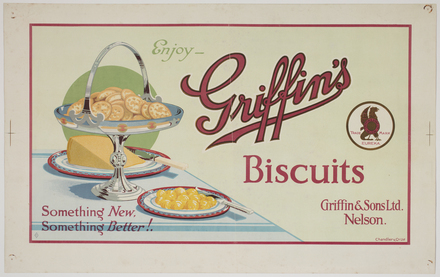 Text "Enjoy - Griffin's biscuits. Something new, something better! ".